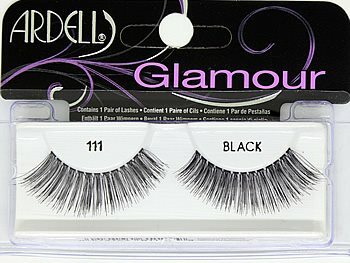 Ardell Invisibands Lacies Lashes are long and voluminous. These lashes are available in Black only. These lashes feature an invisible, lightweight band that connects the hair strands to form a strip that ensures secure corners. They are knotted and feathered by hand for perfect uniformity, absolute comfort and an outstanding natural look. 1. Start by measuring your Lacies Lash to your eye. This can be done after you have put on your eye shadow. Go ahead and align your eyelash strip to your lash line to get a correct measure and to make sure the lash is not too long. Do this before applying eyeliner. 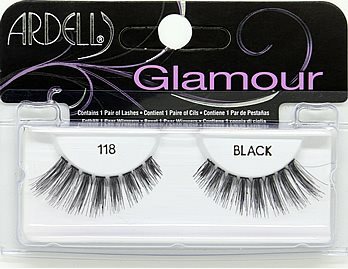 Related Styles: Ardell Fashion Lashes #111, #119, Andrea Modlash #23, and Elise #552. Click here for step-by-step lash application directions. They are thin & blend so well with my real lashes, I always get compliments on whether I have gotten eyelash extensions. 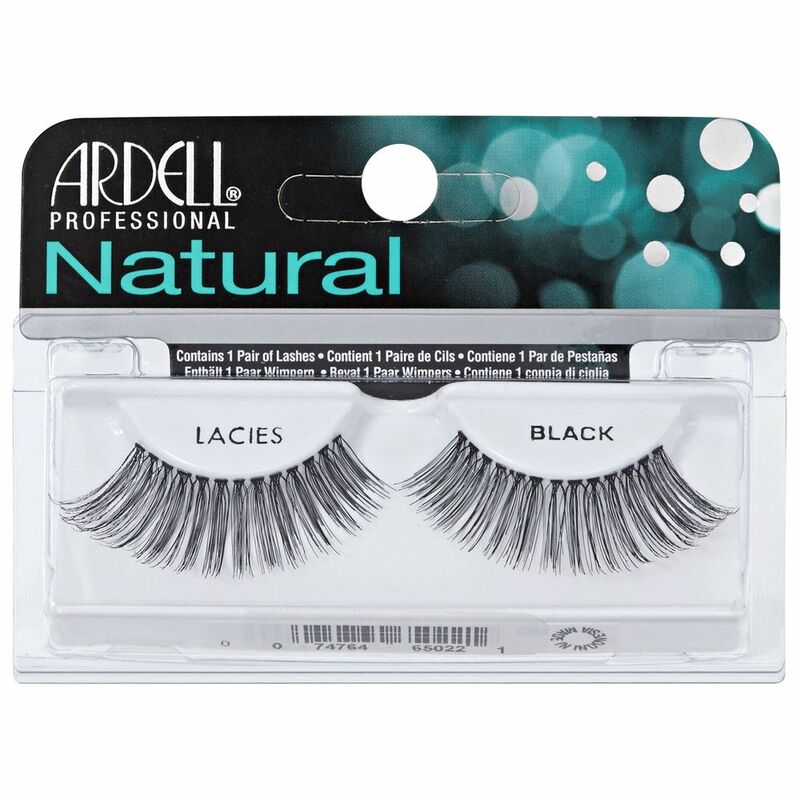 Ardell Lacies are the best! These lashes improved the appearance of my eyes and eyeshadow. I always get compliments for my long lashes because they blend so well with my real lashes. my perfict lenth, this I call false eyelashes!! I wear extra mascara on bottom lashes with this style. For me, perfect lenth,perfect thikness.